In case you missed it from Part 1, take a look at how all four bikes stack up on the dyno. 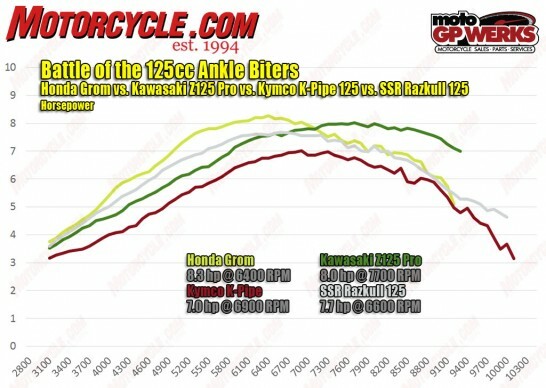 The Grom has a healthy power advantage over the others, while the Kawasaki’s power really picks up after the others begin to trail off. Also impressive is the SSR, which makes more power than the Kawasaki until roughly 6500 rpm.